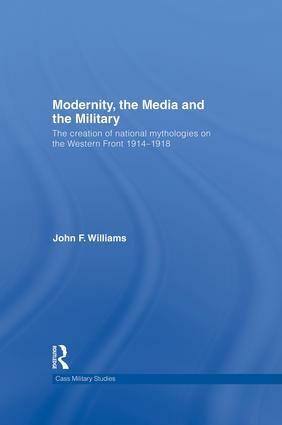 This new volume explores the history of an important, but neglected sector of the Western Front between 1914 and 1918 in the context of its portrayal in the media. The analysis sheds new light on of the role of the mass media in generating national mythologies. The book focuses on the largely forgotten Armentières and La Bassée sector, a section of the Western Front which saw fighting from many different nationalities on almost every day of the war. Through analysis of this section of the Western Front, this book examines the way the First World War was interpreted, both in official and semi-official sources as well as in the mass media, comparing what was apparently happening on the Western Front battlefield to what was reported in the newspapers. It follows the different sides as they responded to the changing nature of warfare and to each other, showing how reporting was adapted to changing perceptions of national needs. John F. Williams is Honorary Research Associate in the Department of Germanic Studies at the University of Sydney.